“Luum is a new textiles brand, focused on bringing a creative approach to textiles for the commercial market. Our products represent performance luxury, new classics that are designed to meet the performance requirements of the active office,” said Dave White, Vice President of Luum Textiles. With the launch of Luum, the company seeks to elevate the role of the design process, pairing it with performance intent to create textiles that transform any interior space. Luum’s curated selection of textiles will be designed to work together across multiple surfaces and bring cohesion to every project. First incubated as Teknion Textiles, the brand established itself for its dedication to craft. It has built a strong business model with long-term potential while creating products that have generated significant value for architects and designers. Luum is gearing up to set a new standard in textile design. 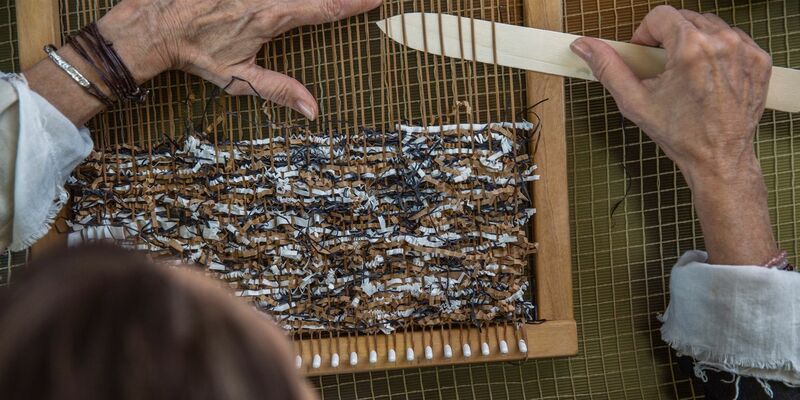 By bringing together traditional weaving techniques with a technical artistry, Luum merges the design process with performance benefits. With performance embedded at the fiber level, Luum will construct highly innovative textiles that deliver a complete design solution for any surface. New collections will be fully integrated, offering a common design language that allows for the seamless integration of patterns throughout a space. The new name and logo symbolize Luum’s design philosophy, where design process and performance come together. The name introduces a technical sensibility to a term that traditionally refers to an age-old craft. Additionally, the juxtaposing letterforms (uu and m) refer to the way products integrate supposedly incompatible materials into seamless and cohesive collections. Luum will debut its inaugural collection, Starting Point, at NeoCon. Created by Suzanne Tick Inc., each product in the collection descends from a common origin story: pre-digital analog processes, particularly the art of handweaving. Starting Point is an integrated collection of textiles that work holistically to create a balanced yet experiential space. Whether featuring a unique weave structure, a bespoke yarn quality, or an innovative graphic, each pattern represents a unique and enduring solution for interiors. The textiles create a layered, textured experience in a space when used alongside one another, thanks to analogous palettes of varied shades, values and saturations. The collection’s textiles include Angulo, Carreaux, Complement, Percept, Point to Point, Perilune, Soft Ridge, Substance and Twining. Luum's purposeful design approach offers architects and designers integrated textiles that are performance driven and responsive to the design challenges of today. The inaugural collection will be showcased in the new Luum showroom, #1048, during NeoCon, June 13-15, at The Mart in Chicago.